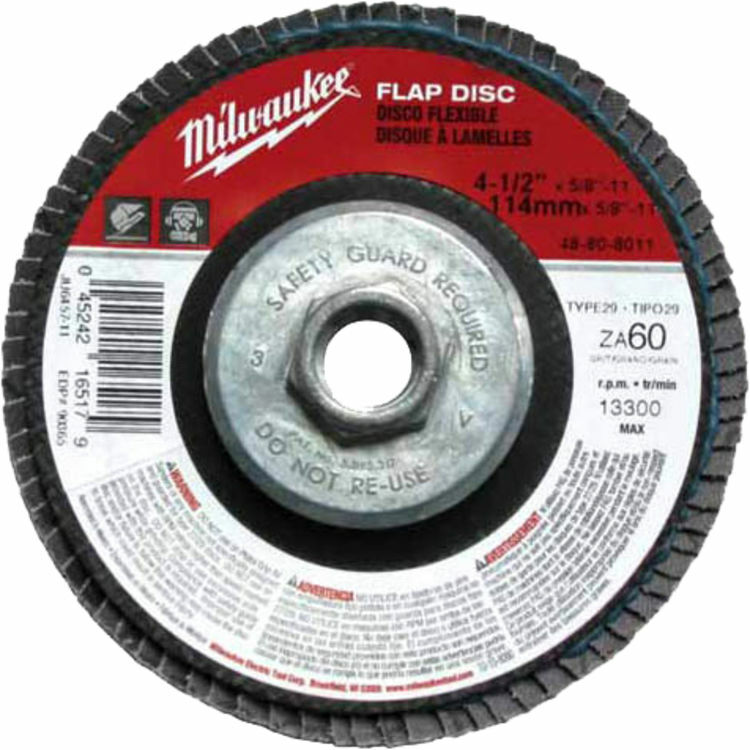 The Milwaukee 48-80-8040 model 7" X 5/8" Flap Disc 36-Grit (Type 29) is a part of the Sanding Disc Series. This disc grinds and finishes in one convenient operation. It's manufactured using a high-performance Zirconia grain that outlasts other standard Zirconia and Aluminum Oxide grains. Shipping Dimensions 1.5" x 7.8" x 7.8"